Make paradise yours in our Islamorada lodging. With views of cascading waterfalls, meandering wooden bridges and tropical gardens a stay in each of our Lagoon View rooms or suites offers an oasis in and of itself. 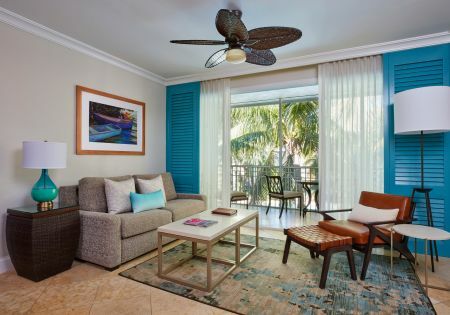 Nestled adjacent to Spa Island, you’ll find a sophisticated ambiance, premier amenities and dedication to personalized service with each and every stay in our Florida Keys lodging. Perfectly poised to offer the seclusion you desire for a truly indulgent getaway with unrivaled access to area attractions and onsite features, our Lagoon View rooms and suites are a coveted destination among families, couples, groups, and business guests alike. Make paradise yours. With views of cascading waterfalls, meandering wooden bridges and tropical gardens a stay in each of our Lagoon View rooms or suites offers an oasis in and of itself. Nestled adjacent to Spa Island, you’ll find a sophisticated ambiance, premier amenities and dedication to personalized service with each and every stay. 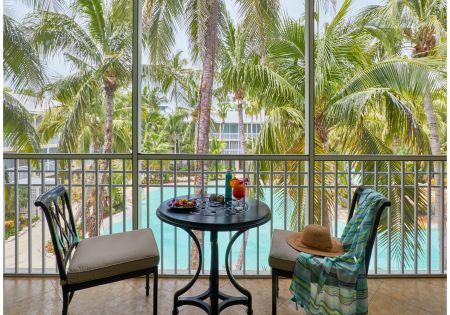 Perfectly poised to offer the seclusion you desire for a truly indulgent getaway with unrivaled access to area attractions and onsite features, our Lagoon View rooms and suites are a coveted destination among families, couples, groups, and business guests alike. Indulge in 361 sq. feet of luxury where you’ll be welcomed with two plush Queen Beds, a spacious screened in balcony with seating for two and unmatched access to Spa Island and the adults only pool area. Need extra space? This guestroom can connect with the Lagoon View One Bedroom Suite to accommodate up to six. Enjoy use of a private balcony, marble bathroom with oversized soaking tub and rain shower, breakfast bar and fully equipped kitchen. After a day full of sun, sand and sea indulge in a relaxing retreat to the master bedroom with a plush pillow-top King Bed or stay up in the separate living area with Sleeper Sofa. Need extra space? This guestroom can connect with the Lagoon View Double Queen Guestroom to accommodate up to eight.